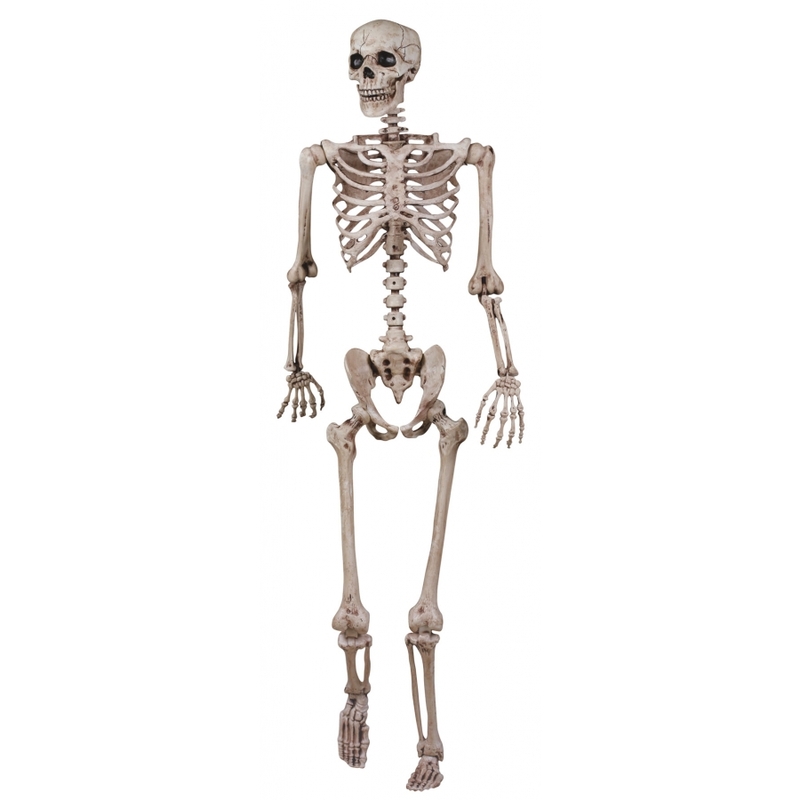 Amazing skeleton is made of heavy injection plastic. 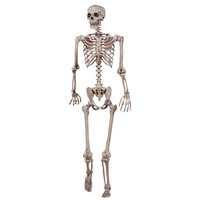 Pose n' Stay skeleton has a moveable jaw, shoulders, elbows, hips, knees, and wrist. Measures 15.50 X 6.50 X 62.00 inches.